Through the knowledge of God and my Saviour Jesus Christ, grace and peace is multiplied in my life. Lord your presence goes before me to give me rest. I dwell in a peaceable habitation, in sure dwellings and in quiet resting places. I have no fear because there is no fear in love. Lord, your perfect love removes all fear because fear brings torment. I am perfected in your love and I am not wearied or burdened. I submit myself to your will, I resist the devil and he has to flee from me. The Holy Ghost is my comforter who you have sent in the name of Jesus. He teaches me all things that I need to know and helps me to recall what you have said to me. My heart is not troubled nor afraid because I have your eternal peace. I never forget the things you have taught me and I store your word in my heart. By your word, I have a long and satisfying life. You satisfy my soul in weariness and refresh my soul in sorrows. When I cry out, you hear me from your holy heaven and save me with the strength of your hand. You are my refuge, strength and a very present help in the times of trouble. You deliver my soul from obstacles and challenges that break my peace. I cast all my burdens upon you Lord and you keep me from being swayed or moved. My heart is strengthened and you are my portion forever when my heart and flesh is weak. My soul can rest in the Lord and I sleep peacefully because I am your beloved. Lord, create in me a clean heart and renew my spirit in righteousness. You formed and fashioned me according to your will and council. I am fearfully and wonderfully made and have been forgiven, made clean and reconciled to you by your grace. I am the temple of your Holy Spirit and you abide in me forever. You have chosen me to be one of your own because I was delivered from darkness into your marvelous light. Your scriptures declare that those who reverence you Lord are secure. You are a refuge for your sons and daughters and you surround me with your hedge of protection. Thank you for enabling me to walk in boldness. Your righteousness covers and keeps me from stumbling. The wicked run away when no one is chasing them but I am not afraid because you are my helper. You declare that I am above and not beneath. I am the head and not the tail and your loving kindness is my shield. You hold me by your right hand my Lord and my God, and tell me not to fear because you are with me. I have your new mercies each day and you supply me with everything I need for life, peace and godliness. I am a branch connected to the vine. You are the vine and I am the branch connected to your life that flows through me. I am part of a chosen generation. I am a special person called a citizen of your holy nation. I am your ambassador. I am a representative in this world. I have faith, gentleness, self-control, and the fruit of the Holy Spirit dwells in me. I yield each day to my inheritance of your peace, liberty and glory. In quietness and confidence is my strength. You are for me and more than anything that can come against me. Thank you for the indwelling presence of your Holy Spirit that helps me in any weakness. When I pray, He makes intercession to you in my behalf. 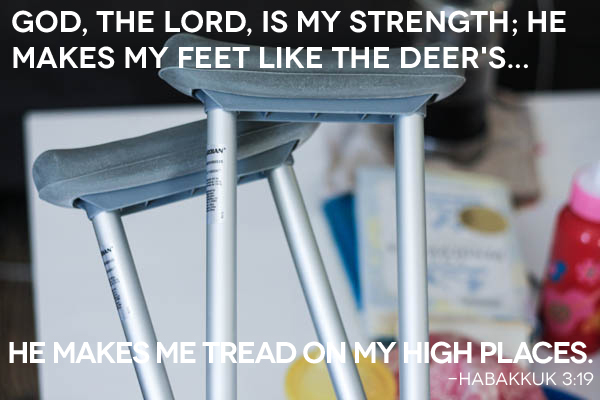 I do not place my abilities above your strength because I rely on you. 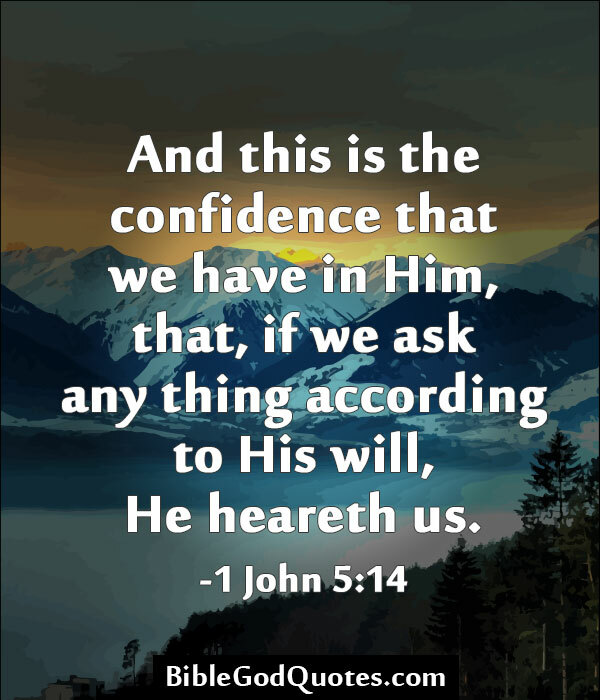 My confidence rests in the knowledge that you are my helper. So I have no need to live in fear of any challenge to my mind, body, soul and spirit. My self-esteem is not diminished. I have overwhelming victory in my life. That victory is through faith as I love and worship Jesus Christ. Each day I approach you with thanksgiving, praise, worship, prayers and supplications. I can ask for anything that pleases you and I know that you hear my voice. Thank you for your love, strength, peace and confidence. You show me everyday that I am your son/daughter and you are my God. Often I have heard people refer to God as a “crutch” and they use the word in a negative connotation. Sometimes it is to make light of the believer’s faith, trust and reliance on God, or give the impression that God relishes a following of zombie-like, dysfunctional people incapable of a significant life. Those who intend to mock us with usage of the word “crutch” fail to understand the utility and functionality of the crutch.